I'll be in Halifax, Nova Scotia this weekend for Hal-Con. My schedule is below. Next weekend I'll be in Toronto; I'll post my full schedule next week, or you can check my events page. I'll have two signings in Utah after I get back from there. If you want me to sign your book in Toronto next weekend, it's best to buy it ahead of time from the bookstore hosting my signing. Though the official release date is still two weeks away, it appears that B&N, Amazon, and a number of indy bookstores all have copies of THE EMPEROR'S SOUL in stock. I'd like to take this chance to introduce the book to you. You can read an excerpt here on Tor.com. 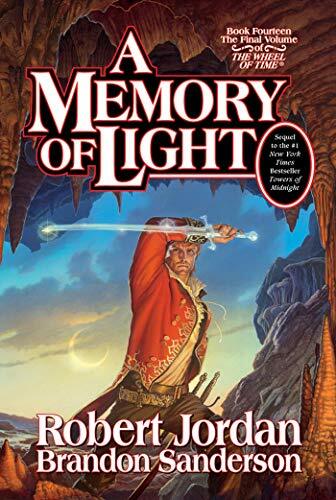 In working on the Wheel of Time last year (and with the knowledge that I'd need to move on to Stormlight 2 immediately after finishing), I knew I wouldn't be able to get out a full-length novel this year. Instead, I worked on two novellas. The first, LEGION, came out a couple months ago. The second of the two is THE EMPEROR'S SOUL. I'm extremely proud of this novella. I think it's my best piece of short fiction to date, and stands as one of the best complete works I've done of any length. For those who liked LEGION, I think you'll like this as much or more. 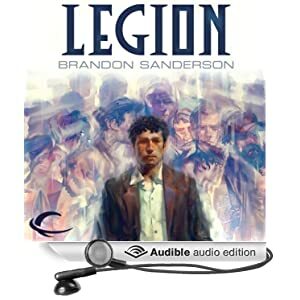 For those who were skeptical of LEGION, know that this novella is not only twice as long, but is also a fantasy story with a great magic system and cool character. It reads more like a short novel than it does a long short story, and does a lot of what I do in my longer fiction. Unlike LEGION, this one is out in bookstores. And though it's twice as long, it's three-quarters of the price (as it is a trade paperback instead of a hardcover). Barnes & Noble took a large stock for their stores, so you should be able to find a copy or two at your local B&N. (Though you might want to call first; I'm not sure which stores are getting copies and which aren't.) Your local indy, if they carry my other fantasy novels, should hopefully have copies in as well. So what is THE EMPEROR'S SOUL? It takes place in the same world as ELANTRIS, though in a very different region, with only a few ties to ELANTRIS. So you definitely don't have to have read ELANTRIS to appreciate it. (Though if you have, you should be able to see some fun ties between the magic systems.) It tells the story of a woman named Shai, a thief and a Forger—a person capable of rewriting the pasts of objects in order to change their present. She starts off in prison, but instead of being executed, she is offered an opportunity. The emperor has been wounded in the head by assassins, and has become a vegetable. His attendants have hidden this from the empire and will trade Shai her life in exchange for creating a Forgery of the emperor's soul, hopefully making it seem like the attack on his life never happened. I always hate coming up with descriptions of books. I like them to stand on their own, with the text I wrote for them. So I'll leave the description there, and instead just say that I am in love with this story, and think it's among the best pieces of writing I've ever done. If you've liked my works in the past, I hope you'll give this one a try. I will be doing several signings for this book. The official release where I number copies will be at Weller Book Works in Salt Lake City on November 6th. (I will also be doing a signing-by-mail through Weller; details to follow.) Then there's another signing at the Orem Barnes & Noble on November 10th. But my first three signings will be in Canada, in Halifax and Toronto. I will be at Hal-Con in Halifax on October 26th through 28th, and I'll sign books in the exhibits hall there. Then I'll be at World Fantasy in Toronto November 2nd through 4th; convention registration is sold out, so I will also do a bookstore signing in Toronto mostly likely on the 3rd in the evening. Details to follow. For specifics on all of these conventions and signings, check out my events page. If you want to go to one of these signings but want to read the book now, please consider buying your copy ahead of time at the store hosting the signing. Shawn Speakman has put together a great anthology coming out in early 2013 that features a bunch of big names in the fantasy field (including Terry Brooks, Pat Rothfuss, Tad Williams, and others). He asked the authors to record videos to promote it, so here's my video explaining my contribution. If you're interested, you can preorder UNFETTERED here. It will also be available for Kindle and Nook once the book is released. I've got a special announcement today. Perhaps not as special for you as it is me, but hopefully you'll find it interesting enough to read onward. You see, one of my good friends—and former students—is releasing a book tomorrow. 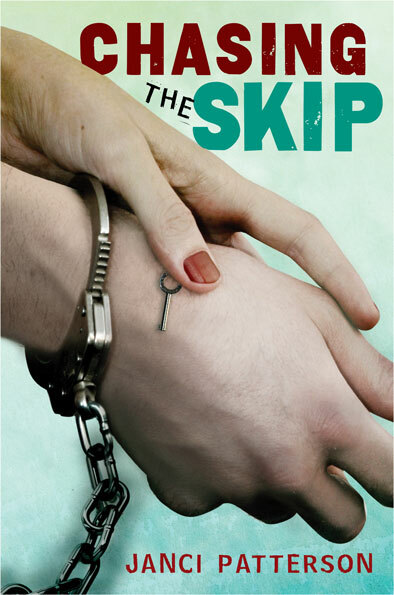 Her name is Janci Patterson, and the book is called CHASING THE SKIP. Many of you know I now teach a class at BYU that I took when I was a student there. (And the lectures from last year are online here.) This class was instrumental in getting me published, and I didn't want it to die, so I took it over when the previous teacher left. Janci took that class the first year I taught it. I wasn't sure what I was doing that year—and I can't even remember if my advice was any good. Janci didn't really need it. She's one of the most talented writers I know, and I've been thrilled to read her books along the way to her getting published. CHASING THE SKIP is not fantasy or science fiction. It's an awesome story about what it's like to live as the daughter of a real-world bounty hunter. (Not the glorious type from fiction.) It's a YA book with excellent writing and compelling characters, and I found it a lot of fun to read. So far as I know, this is the first of my students to actually have something come out from a major publisher. Some others have sold books, and a number have agents. (Maybe I'll blog about them someday.) I'm thrilled for Janci, who really deserves it, and if you are a fan of this style of book, I suggest you check it out. She also has a launch party here in Utah tomorrow. When: Tuesday, Oct. 2, 7 p.m.